Tech Loot? 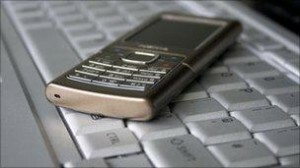 BBC loses laptops and mobiles worth $500,000! Did you know that a recent use of the “Freedom of Information” right on BBC revealed that BBC had lost laptops and mobile phones worth £241,019 (approx $500,000)! It was also noted that these were lost or stolen over the past two years. Here are the numbers, 146 laptops, 65 mobile phones and 17 blackberry devices between April 2008 until March 2010. BBC was quick to comment saying that it takes the thefts “seriously”. Of all the merchandise, Laptops were the most expensive valued at £219,000 followed by mobile phones at £12,913 and the Blackberrys at £9,106. BBC also reported that of all the lost items, 19 were recovered worth £23,450 which is a drop in the ocean. Computer security firm Absolute Software put in the information request also revealed that BBC was unsure if its staff were disciplined at all over the losses. BBC did issue a statement saying, “The BBC takes theft very seriously and has implemented a number of measures to reduce the level of crime”. It is surprising to note that such a large public organization fails to take action or fire its employees who are responsible for lost or stolen company property. Ironically BBC posted this news story on its website. Ultra thin laptops being put on hold? Previous Gay? There’s an App for that!